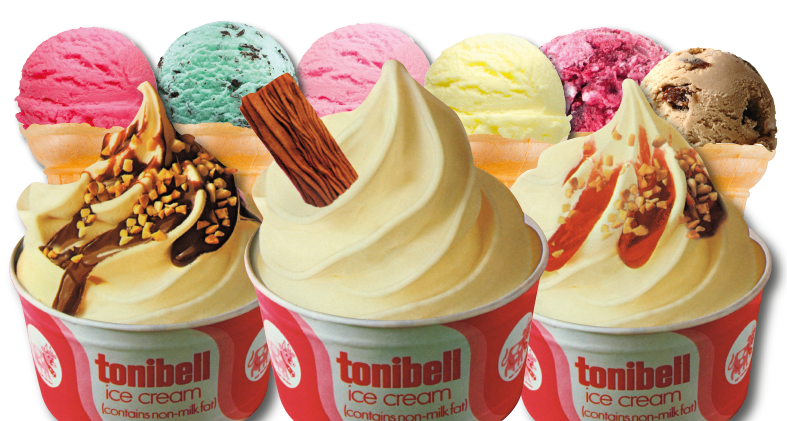 Welcome to Tonibell, the iconic British brand since the 60's and your best choice for Ice Cream Van hire across Kent, London, Surrey & Essex. 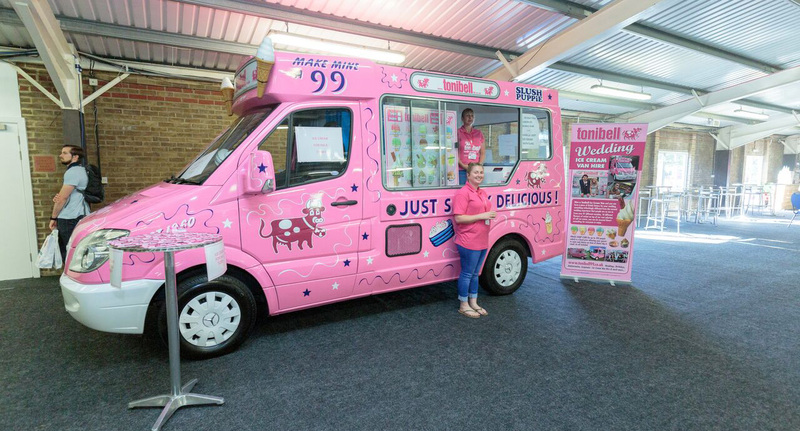 Whether you are looking to hire an ice cream van for your community or corporate event, we have the perfect packages to suit you. If it's a vintage ice cream van to bring that amazing retro touch to your birthday party or anniversary then we have some absolute classics available. Or let our experienced team help make your wedding truly unforgettable as the Bride & Groom serve delicious ice creams! Whatever your requirements, or even if you are curious about our history, we invite you to look through our website and discover more about why Tonibell are still the most recognised ice cream vans in the UK and why our commitment to perfect ice cream just keeps getting better! Hear our famous Tonibell Chimes! 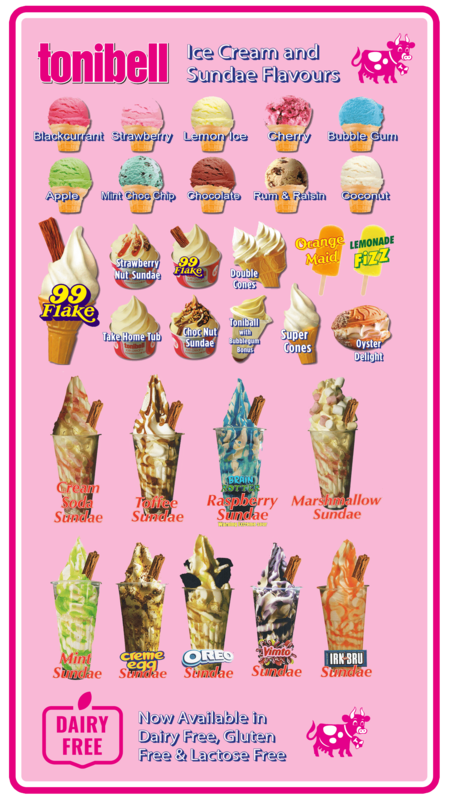 We have over 97 different varieties of ice-cream, sundaes and frozen yoghurts which is why we are the cream of desserts! 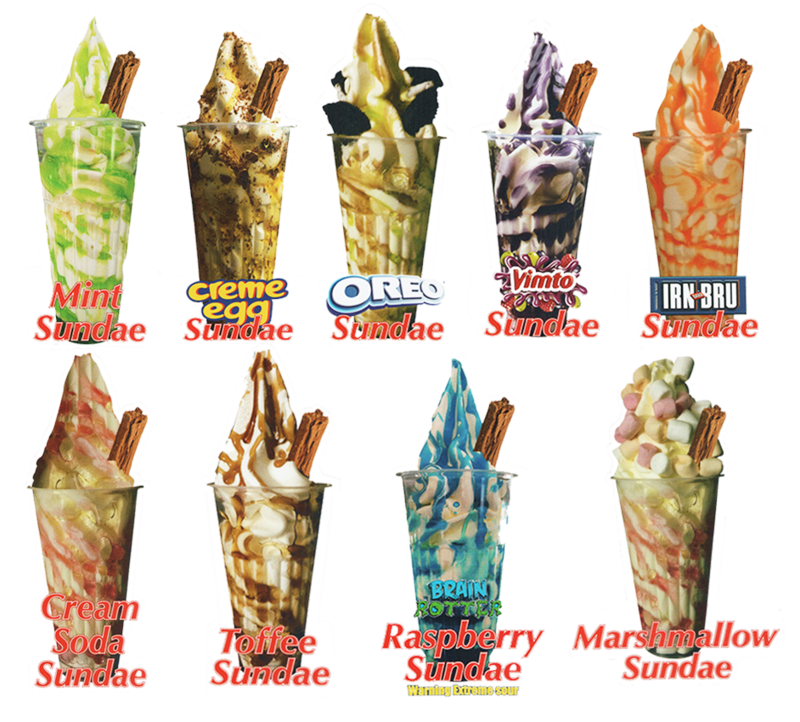 Whats your favourite? We are a family run business that has been established since 1960 and described as part of British history. 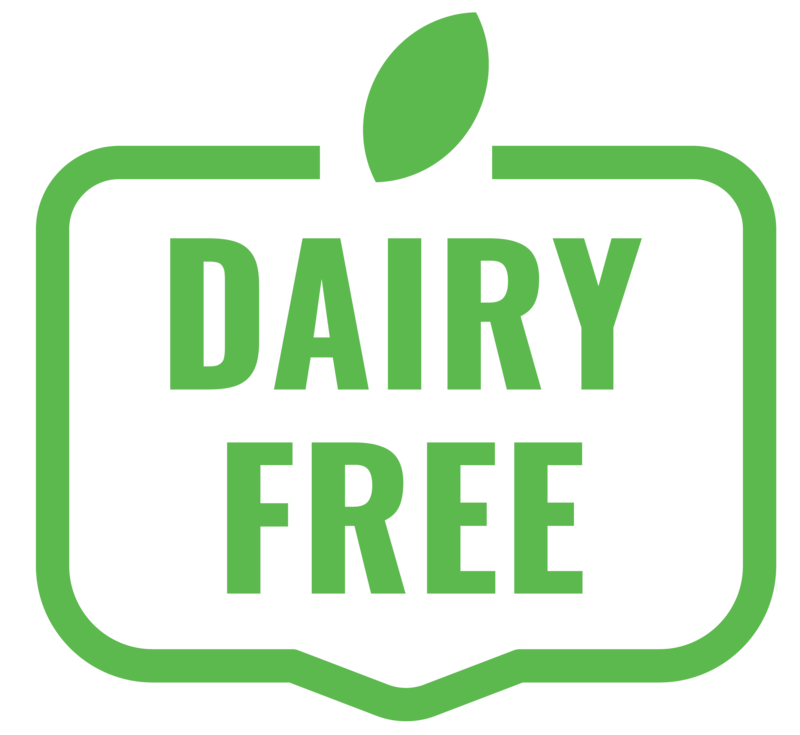 We pride ourselves in delivering family affordable pricing with top quality products. Today our ice cream vans can be hired for any occasion in any place. 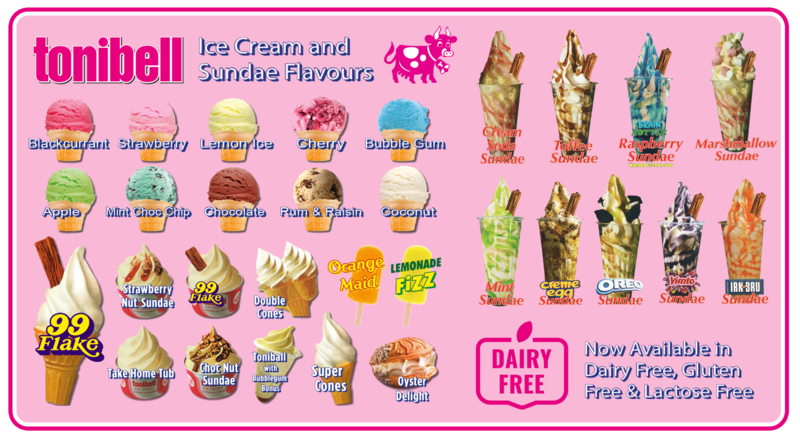 With over 97 different varieties to choose from and frozen yoghurt, soft ice cream, sorbets, non dairy ice cream etc. to enjoy, there really is something for everyone. Hire the 99 Brigade to attend your office or event, a birthday or wedding and create a piece of nostalgia you will not see anywhere else from our fully trade mark protected brand of vehicles. Now in our 3rd generation with the youngest person to ever reach of the finals of National Ice Cream Alliance Awards, it's probably fair to say that ice cream is our passion, backed up with 5 star presentation, service and value every time. VINTAGE VAN OPPORTUNITY! 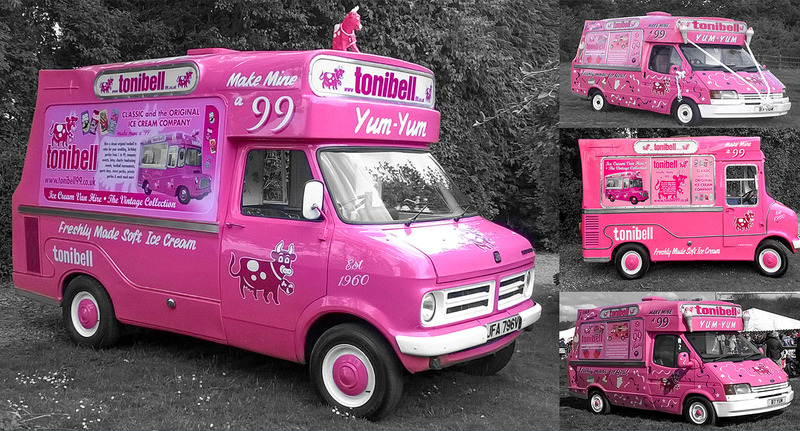 TONIBELL ARE CURRENTLY LOOKING FOR FIXED PITCHES FOR OUR VINTAGE VANS, PLEASE CALL US FOR MORE INFORMATION!